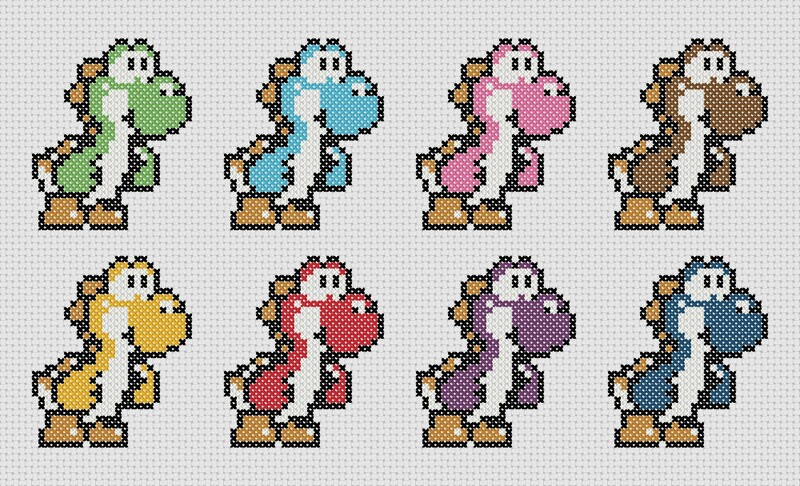 After Saturdays post about the Super Mario and Tetris cross stitches, I went on a little bit of a gaming kick and created this Yoshi cross stitch for you too. Very simple and free for you! Click on the image to go directly to the download page. Hope you like it! Show me what you do with it.